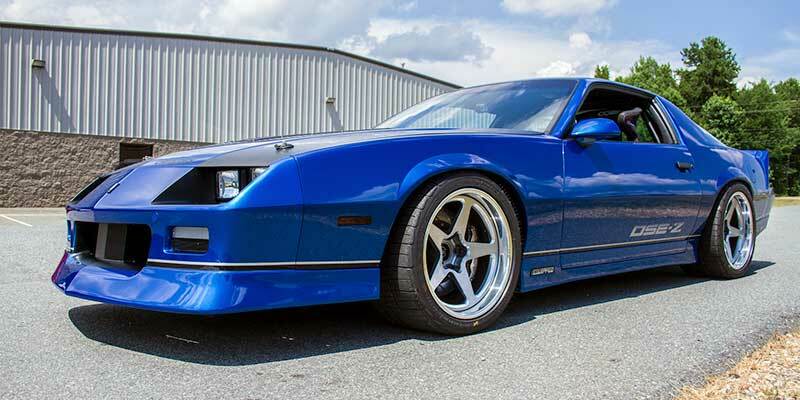 This third-generation Camaro project car embodies a new wave of American muscle. 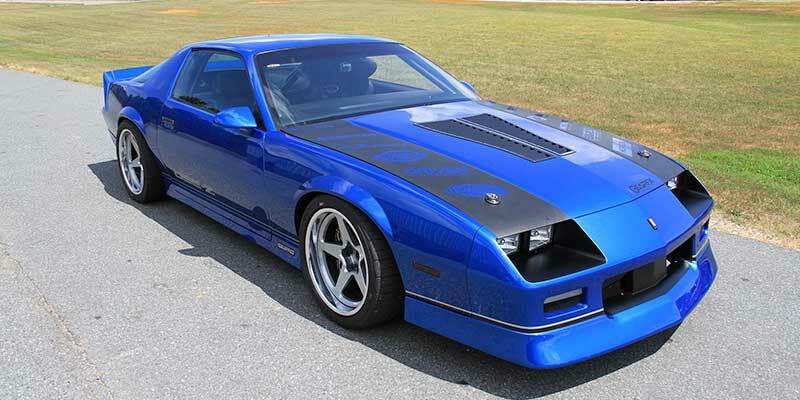 Built by Detroit Speed, the 1987 Chevrolet Camaro DSE-Z received the full DSE makeover to its body, interior, suspension, engine, and drivetrain. 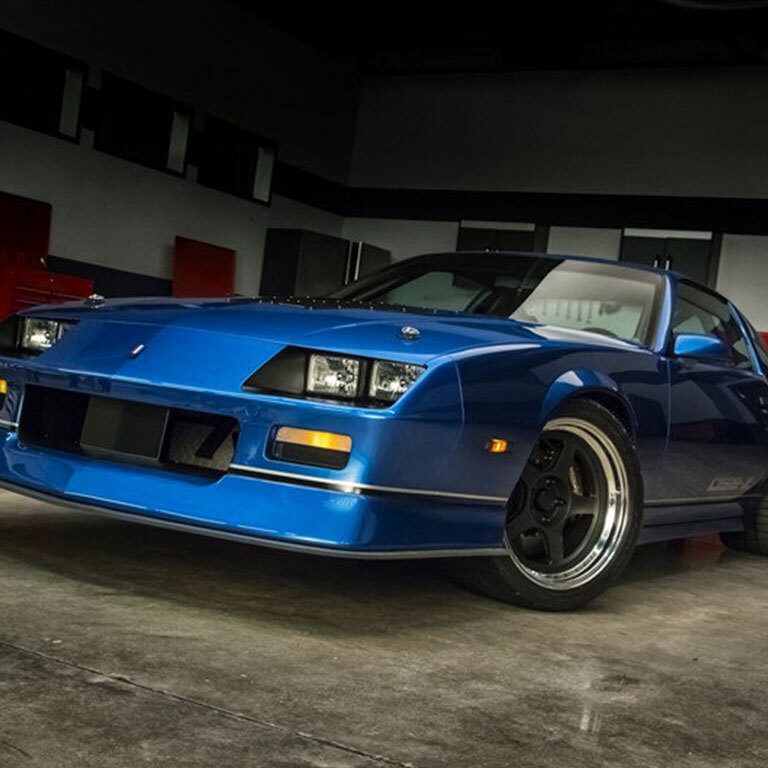 The body lines remain factory, but the Detroit Speed team modified its looks with a Stinger Fiberglass front bumper, Trackspec Motorsports hood louvers, and CRC Powercoating treatment. They painted it in-house, using PPG Bright Blue Poly to match the factory offering. 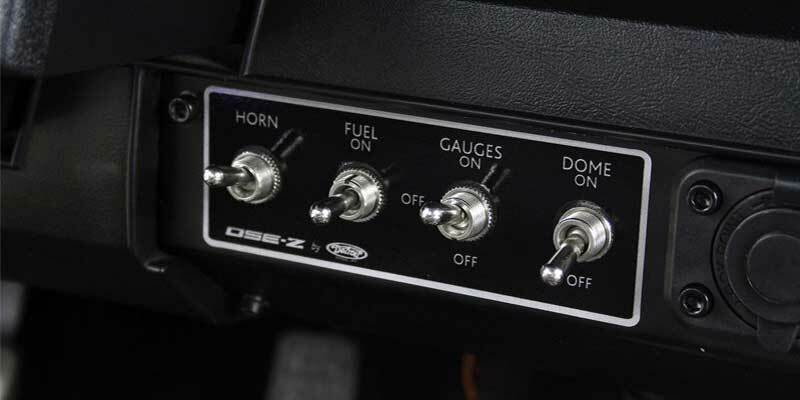 For a final design touch, they added special “DSE-Z” graphics in the famous IROC-Z font. 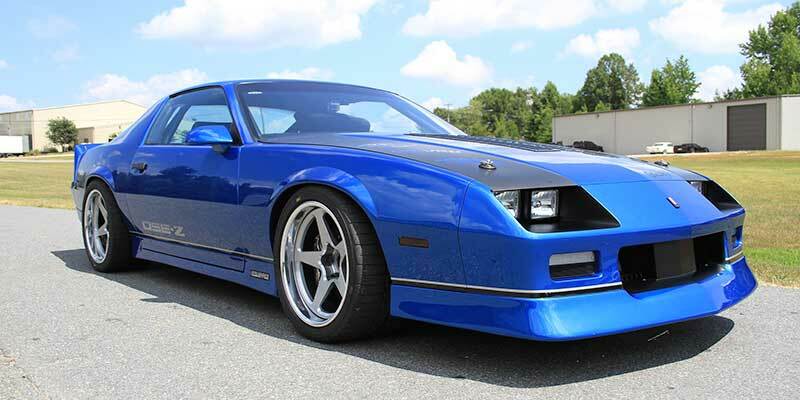 The 1987 Chevrolet Camaro “DSE-Z” also gets Detroit Speed’s full F-Body package, complete with rear QUADRA-Link and a four-inch drop from stock ride height when it takes off. The front end features the weight jack kit and the DSE/FRi front strut kit, including DSE’s tubular A-arms and JRi’s double adjustable shocks. 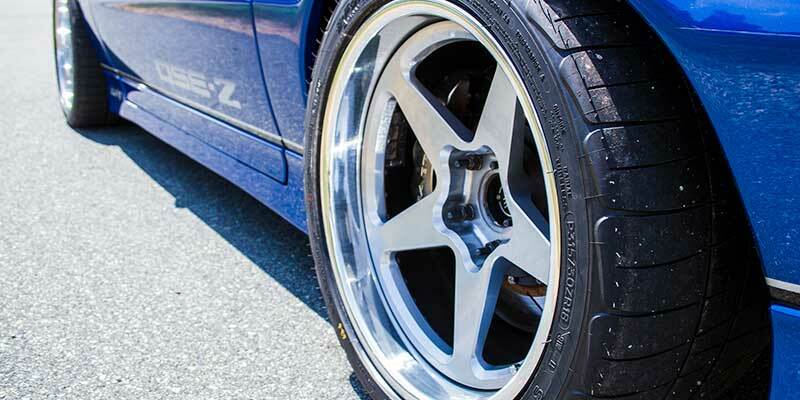 It’s rounded out with Baer brakes, 18×11″ Formula 43 RAD-5 wheels in black, and BFGoodrich Rivals. Inside, the 1987 Chevrolet Camaro “DSE-Z” features a six-point roll cage-equipped interior stitched up by Robert McCarter. 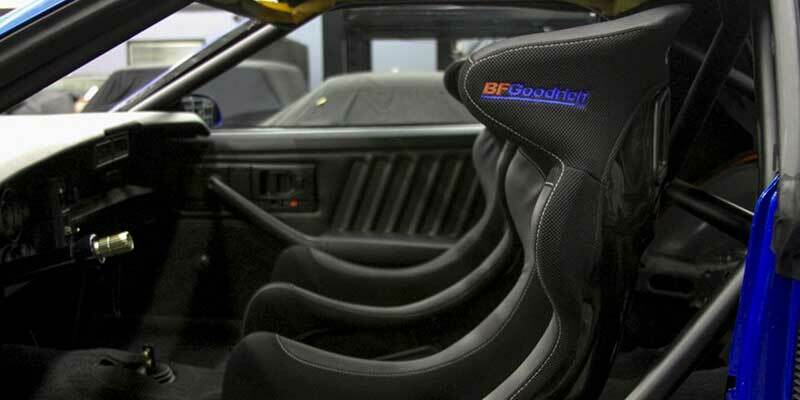 Cobra LeMans seats, AutoMeter gauges, and a Max Papis Innovations steering wheel round out the build. This monster mule is powered by a Mast Motorsports LS7 paired to a Bowler Stage II Tremec Magnum 6-speed transmission with a Centerforce twin-disc clutch. This powertrain puts down 723 horsepower and 538 lb-ft of torque. It’s topped off with an MSD Atomic Air-Force intake manifold and a Holley Dominator EFI kit. 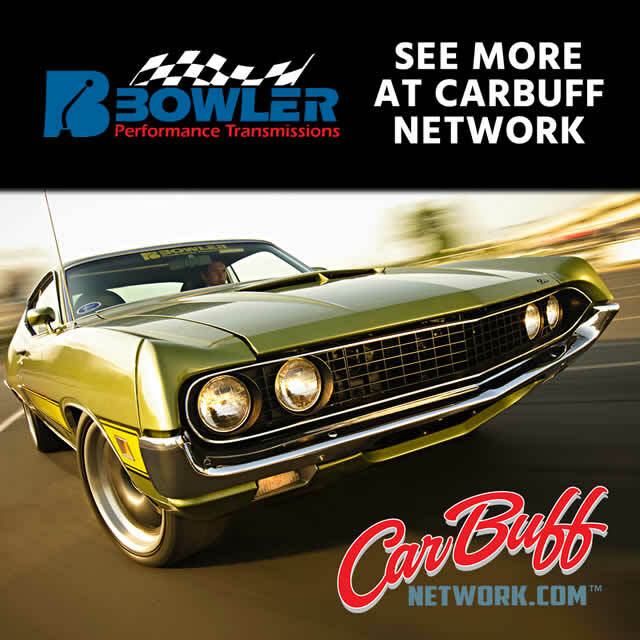 Finally, you’ll find custom exhaust and Stainless Works mufflers enhancing the magnificent sound of the 1987 Chevrolet Camaro.